Resources and articles for information on hearing loss, communication modes, advocacy, education and research.
" I just wanted to send you a quick thank you for making your page.... As an education outreach coordinator for the deaf and hard of hearing, I'm currently creating a resource guide to send to schools and other community programs that work with the hearing impaired. Your page been a big help. Thanks again for putting it together." Not sure what cued speech is? ASL? Total Communication? Or the auditory-oral method? Here is a comprehensive summary on each type of communication method for the deaf and hard of hearing. List of facts about pediatric hearing loss that are often widely cited with their references. Statistics on where children with hearing loss are educated in the U.S. The Centers for Disease Control has recently revised the recommendation for pneumococcal meningitis vaccination for adult cochlear implant recipients. 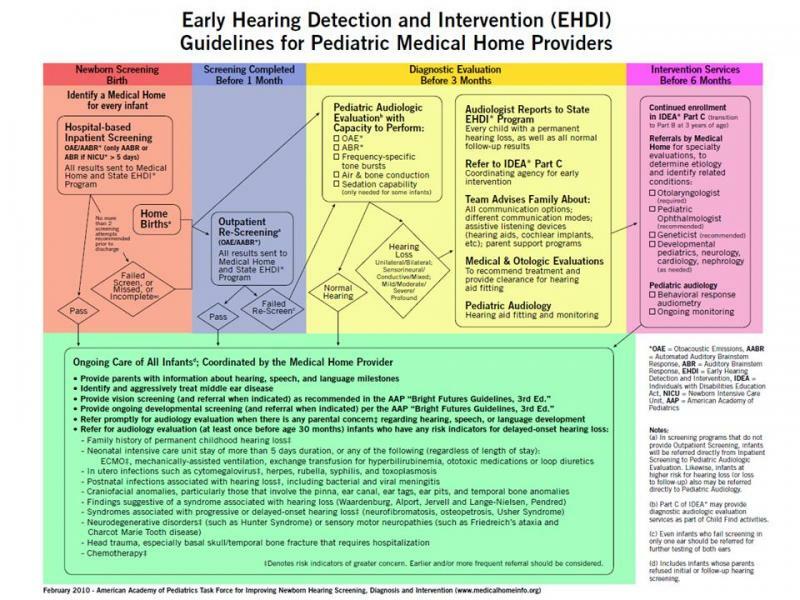 This document is a supplement to the recommendations in the year 2007 position statement of the Joint Committee on Infant Hearing (JCIH, 2007) and provides comprehensive guidelines for early hearing detection and intervention (EHDI) programs about establishing strong early intervention (EI) systems with appropriate expertise to meet the needs of children who are deaf or hard of hearing (D/HH). A TEDx Talk: TED is a nonprofit devoted to Ideas Worth Spreading and stands for: Technology, Entertainment, Design. Hearing Our Way: A magazine for kids and teens with hearing loss! Check out this self advocacy video made by Allie Russell to prepare her teachers for her transition to 6th grade. A great idea and well done!